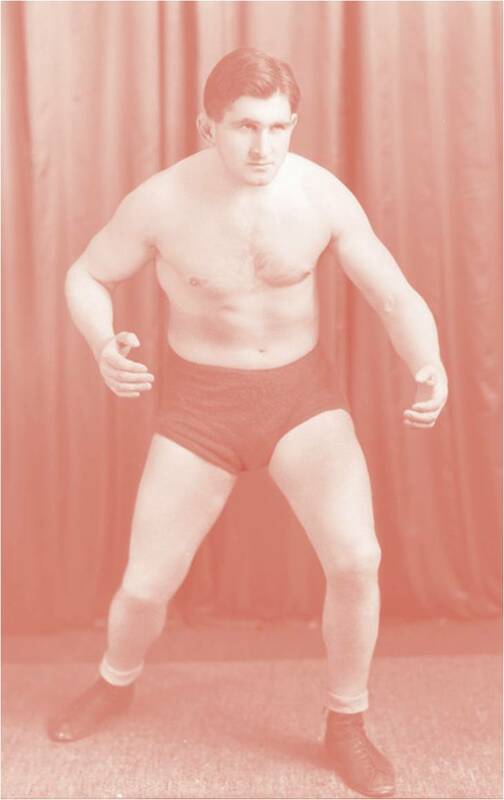 My recent article in Social History 40:1, which explored the introduction of ‘All-In’ Wrestling in North America, Europe and the Antipodes brought to light some of the benefits of adopting a transnational approach to historical inquiry. I would like to explain in this post why I chose to explore this ‘sport’ and why I think it is of significance. A few years ago I published an article on dancing and dance halls in the inter-war years. This was provoked by a curiosity as to what the popular pastimes in these two decades were. It was during the research for this article that I read what to me appeared a rather curious publication called New Zealand Sporting and Dramatic Review – an antipodean variation of a British publication. Why was it curious? Mainly for the fact that it combined coverage of what I at first regarded as two distinct realms of popular culture ‘News from Hollywood’ and ‘News from the Wrestling World’. I contemplated such an odd combination for some time and came to the view that there was something these two rather odd bedfellows did indeed share – ‘escapism’ from the mundane. As I read more about the wrestling world I began to see that ‘All-In’ wrestling, which emerged at the end of the 1920s in the USA, was a way in which promoters competed with the cinema for an audience; an audience by then in thrall to melodrama with its attendant heroes and villains. American footballers who wanted to keep in shape in the off-season could supplement wages by using their tackling skills in the wrestling ring, and promoters could find stooges to take a fall from a flying tackle. It wasn’t too long before wrestling circuits were put in place linking the USA wrestling scene with the Australian and New Zealand market, but reactions to the new style were not uniform across the Anglo world. Using the digitialized newspapers provided by the Trove (National Library of Australia) and Papers Past (National Library of New Zealand) a substantial body of evidence was relatively quickly amassed which began to shed light on audience reaction to ‘All-In’ in Australasia. The project really came alive however, when I became aware of the Vern Ross archive held in the Hocken Collections at the University of Otago Dunedin. This archive contains some 55 boxes of material relating to international wrestling and most valuably held two or three boxes containing runs of American and British wrestling publications. It became clear on examining the evidence, that local tastes were a significant variable when it came to the question as to whether this rather wild wrestling style was accepted. Whilst the style was accepted in Australia, it was substantially modified in New Zealand, where popular taste favoured a more ‘scientific’ or cleaner style. The role of the judiciary and the police in New Zealand played a more significant part in ensuring that the wilder ‘All-In’ was prevented from appearing. Thus, New Zealand tended to represent a half-way house between British reactions, where ‘All-In’ was at first treated with caution before being banned in 1938, (so too in South Africa in the same year) and Australian where it was accepted without any real questions being asked. Consequently, the case of wrestling tends to confirm a wider thesis that Australia had (and is?) influenced by American popular culture to a greater extent than in New Zealand, which retains a British sporting culture. Perhaps one influence in the realm of wrestling which shaped local taste was the extent to which audiences would suspend disbelief in what they were seeing, or put another way ‘believe a lie’. The relatively large Scottish Presbyterian immigrant population might have played a role here, as Scots did wrestle at Caledonian games, but would not have wished to con the crowd by feigning falls and submissions. Another factor in this is the ‘cult’ of the science of exercise that gripped many parts of the world until at least the outbreak of the Second World War. The wrestling magazines depicted to readers how to perform a variety of orthodox wrestling holds. New holds were also developed. If they were seen as legitimate they could make a wrestlers name. (New Zealand wrestler Lofty Blomfield developed the ‘Octopus clamp’ with which he became associated in the 1930s for example). Given this knowledge some audiences wanted to see these holds performed legitimately on the stage and did not want to see burly men simply throwing each other out of the ring, eye-gouging or even setting about the referee. Where wrestling journalism that celebrated scientific wrestling put down roots might have influenced local taste. American promoters could not simply send wrestlers to the antipodes who would flout local taste, as it often led to contract termination and effectively deportation. The question of what ‘shapes’ local taste is a complex one that I am still pondering. In other games, sporting cultures are also seen to diverge, for example the rejection of the kicking game in the southern hemisphere in relation to rugby union, (particularly in New Zealand where it’s seen as ‘bottling it’), the Australian refusal to use a night-watchman in cricket (a more recent innovation I think? ), the fact that only Australians seems fascinated by Aussie Rules football (and really only in the State of Victoria) and even more topically, the way games are run. At the time of writing a furore has broken out over the issue of whether the cricketer Kevin Pietersen should play again for England, which has resulted in accusations of gentlemanly buffoonery within the English Cricket Board from the likes of Piers Morgan and others. Would the Australians get in such a pickle? Writing transnational history is possible to a greater extent than ever before, because of the digitalization projects of the respective National Libraries around the globe. Students do not need huge grants to undertake this kind of research any more. The transnational approach does not need to be limited to the sporting realm either of course. My 2014 publication Imperial Culture in Antipodean Cities examined how successfully or indeed unsuccessfully British imperial culture was projected within the antipodean city. Here too, the Trove and Papers Past projects were an invaluable starting point for the research. Dr John Griffiths is Senior Lecturer in History at Massey University. J. Griffiths, ‘Popular Culture and Modernity: Dancing in New Zealand Society, 1920-1945’, Journal of Social History, 41, 3 (2008), 611-632. J. Griffiths, Imperial Culture in Antipodean Cities (Palgrave Macmillan, 2014).